I'm a B.Tech student of Information Technology studying in the National Institute of Technology, Durgapur, India. I am a FOSS enthusiast and have been contributing to KDE since April of last year, and have been selected for Google Summer of Code this year. I am currently working on implementing interactive tours in Marble, with Dennis Nienhüser and Torsten Rahn as my mentors. KDE is seen very importantly in the university I study in. Some of my seniors before me have been working on KDE for a long time, and the juniors were told were told by them (I was a junior once) about the friendly and helpful nature of the community. So I also thought of giving it a shot and I started my "research" on KDE. I found it to be a really cool desktop environment to work in. After a few months of playing around, I came across this list of junior jobs in bugs.kde.org, so i started scrolling through them and wanted somehow to contribute to Marble since that was one software I did use regularly. And so I did. I just started solving bugs, one after the other. Then applied for GSoC this year, and got selected. Ah, just to mention, a few months before GSoC, we (me and a couple of more guys) even held a talk in our college, specifically about KDE. I spoke about Marble. Vedant spoke about Amarok, etc. Anyways, that's it. That's my "journey" (which is still ongoing) in KDE. KDE is actually the most special thing to me. It gave me something nothing else could: a job related with real world software, with real world actual core developers. Plus, this global acknowledgement is simply amazing. In fact, I think that the single-most significant best thing which has happened to me at university was finding KDE. As I say to myself, "KDE gave me wings". I am just proud to be a member of a community so rich with knowledge, that I find myself kind of privileged to be in it. When did you first hear about the meeting in Randa and why do you wish to be a part of it? I was going through a conversation in #marble, where Mario had mentioned the term Randa to Dennis, asking him whether he will be going to it or not, so I asked Dennis whether this Randa thing was related to KDE in some way or not. And he said yes, and gave me the link, so that's how I got to know about it. I want to participate in it, firstly because Dennis is going there and I would love to meet him in person, and secondly, because I will be able to sit down and code away all day with so many more brilliant developers. Plus, I also heard (and I was going through the previous years' pics as well) that the folks have pretty good fun over there. So that is also one of the reasons. Mainly I want to go there for the experiences and the new things I will learn. I also have a few goals/points related to Marble as well, which I want to finish while I am there. Which specific area of KDE applications do you contribute to? Could you describe it in short? I contribute to an application under KDE Edu, called Marble. 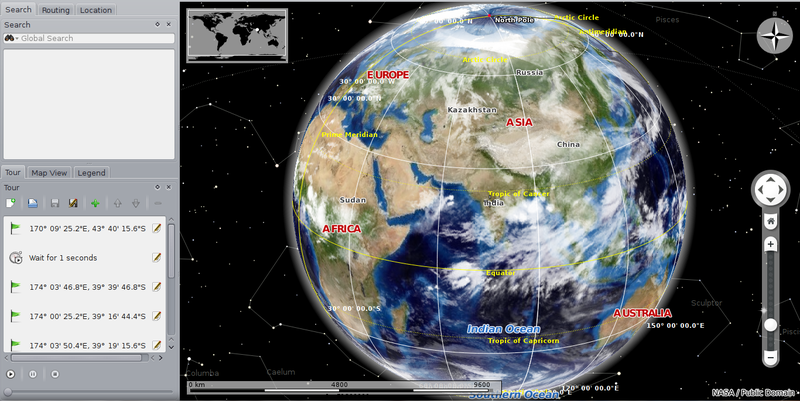 It is a virtual globe, with which you can view the planet Earth (and moon as well) in a humongously different number of ways, with different map themes, routes and directions, tracks, satellite maps, weather maps, temperature maps, precipitation maps and even historical maps. Whatever you need when it comes to maps is there. Marble is a virtual globe and world atlas — your swiss army knife for maps. My role is just writing code like every other Marble developer out there. Right now I am working on my GSoC project. And I have been working on Marble since April, 2013. Yes, I will be working on Map theme tours on Marble (taking tours on different themes on Marble), implementing Gpsies services to Marble, and I am also planning on working on the QML or mobile part of Marble as well while in Randa. What will you be looking forward to the most in the Randa Sprint? Any expectations or hopes of what it will be like? I am looking forward to having a great time there in Randa, making new friends, meeting new people, and just keep learning more and more. KDE means everything to me. It is the only thing which I have been this serious about. It sharpened my skills of object oriented programming, from A to Z. All thanks goes to none other than my mentor Dennis Nienhüser who has been patient enough to guide me thoroughly in this journey. All my contributions to KDE that I have been able to make so far, I owe to him. And I am very sure all the others in KDE are also as helpful as him. Meetings such as these, in my opinion, are very important, because these are the events, in which top developers get to discuss their ideas face to face, and come up with great plans, and then execute them. And all this happens within one week, which is really amazing. These meetings are very important for having a lot of progress, in a short duration of time. It is very important, since open source contributions should be increased more and more, so that people with ideas and skills, can get them executed, for free. My typical day in Randa I would imagine, would start with some good food and then some coding, and then having some fun and hanging around. But, seriously, I don't even have the slightest idea. Which is what I am going to find out there. Not even Switzerland, this is actually the first time I am going to any country outside of India. In fact, it is only after knowing about Randa, that I applied for a passport. I am tremendously excited about this trip. I am pretty sure, that it's gonna be a hell of a bumpy ride. So, see you all in Randa then! 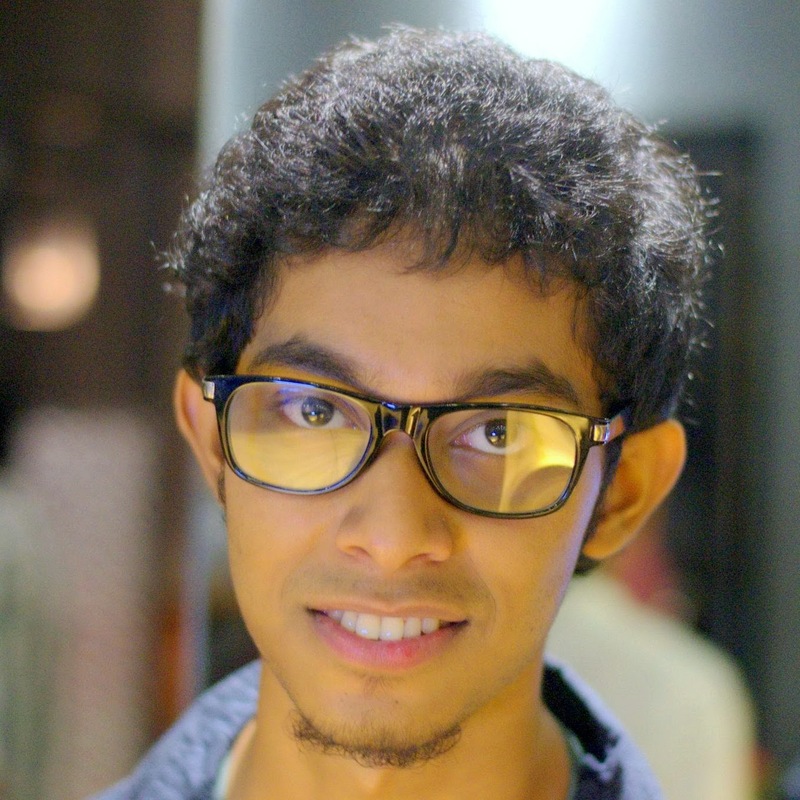 Thanks a lot, Sanjiban, for your time for the interview and dedication to Marble and the KDE community.